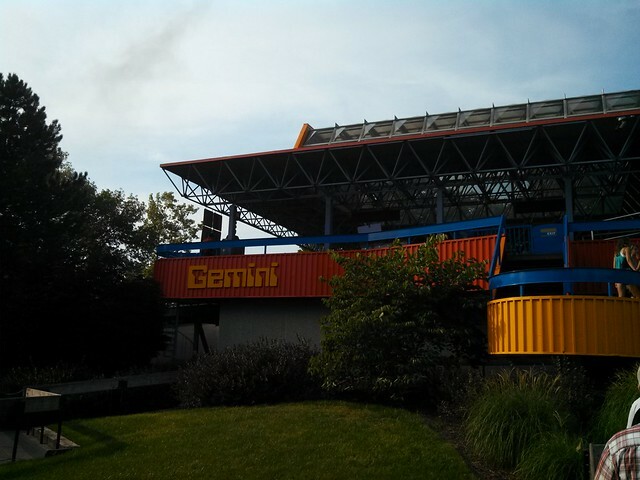 This is one of those great rides where the real terror was in the anticipation: You’d wait in line at its base, winding back and forth while over and over and over, this 13-story steel thing just chugged and roared and people screamed. You’d get fastened into your seat and then wait a few agonizing minutes while each car shifted backward every minute or so, inching you closer to the tower itself. You’d finally scoot back into position, and then your gut would just go to water when the all-too-quick climb began. At least once, you had to try the penny-on-the-knee trick, watching it seem to rise and then hover in place during descent. I associate it with being a kid and turning old enough to go around the park with a friend, parent-free, and with high school visits, and, of course, with the summer before college. 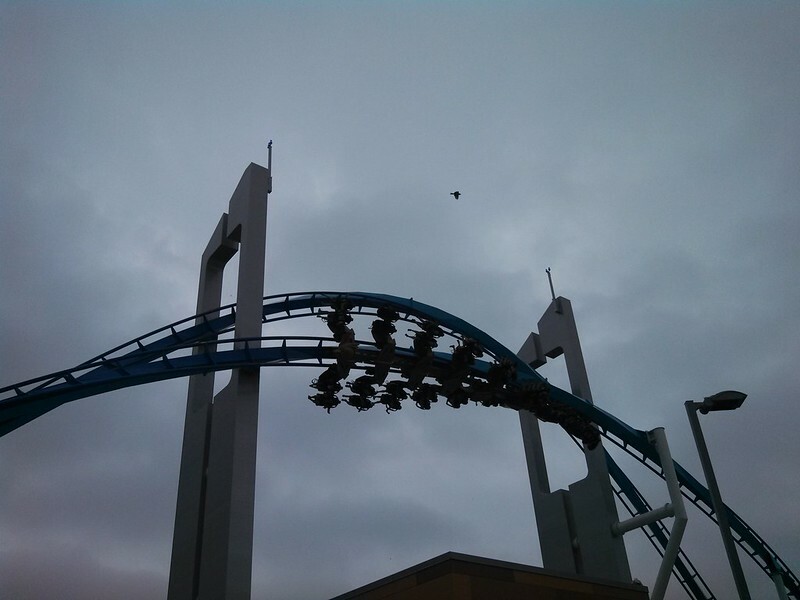 Demon Drop was right near the entrance to Cedar Point, so it often earned last-ride-of-the-night status, and the trip over a bright midway and a dark surrounding lake, accompanied by summer wind, is something I can remember as easily as the smell of leaves in the fall. I’ve been thinking about 1989 a lot lately. My 20th high school reunion is coming up, for one thing. And we also just took a weekend road trip and stayed with one of the friends I made during my first week as a freshman at Bowling Green that same year. Besides the standard milestones of graduation and starting college, though, there are other events that year which have stuck with me, either because they marked small forks in a path that turned out to be major course corrections further down the road, or because they’ve just echoed in ways I couldn’t have foreseen. This one involves a skeeball. By mid-August 1989, high school was two full months in the rear-view mirror. My best friend Adam and I were getting ready for our move to BGSU while our other closest friends were taking off for various parts of Ohio and Pennsylvania. It had also been five weeks since I’d watched my then-girlfriend pass through the Akron-Canton Airport security checkpoint to catch her plane home to Germany. I’m pretty much an 18-year-old in an emotional blender, whirling around these weird weeks between everything I’ve ever known and whatever’s waiting in college. 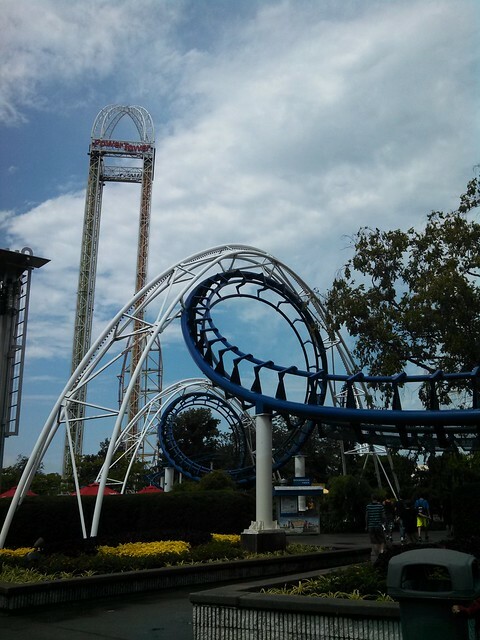 So the girl down the street and I decided summer would be best wrapped up and celebrated with a day at Cedar Point. Amusement parks and fairs, especially at night, are among my favorite places in the world. The day before the trip, she backed out. I stuck to the plan, though, and, for the first time in my life, went to an amusement park for a day flying solo. 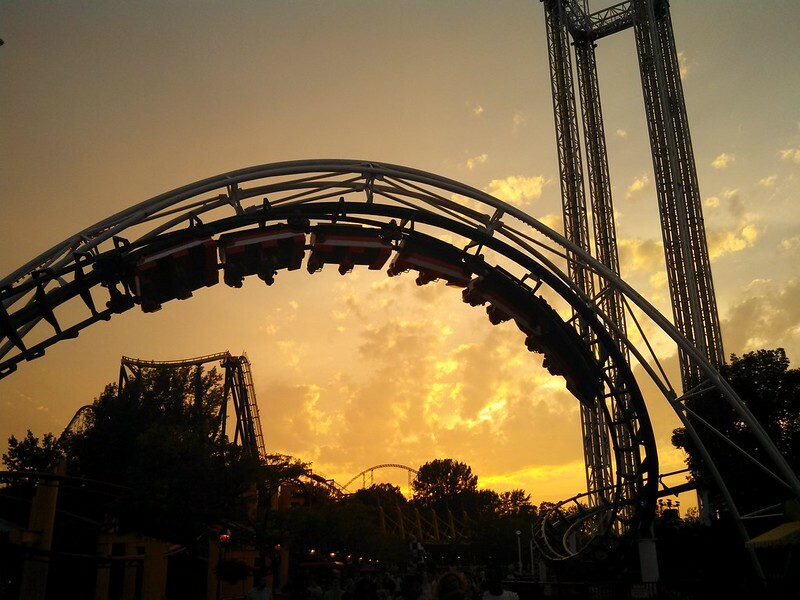 And having grown up within a couple hours of Cedar Point (in fact, I’d already been there once that summer, just after graduation), there was pretty much nothing new waiting for me, so I set out to make it just a relaxing day of riding – mostly coasters – and people-watching. 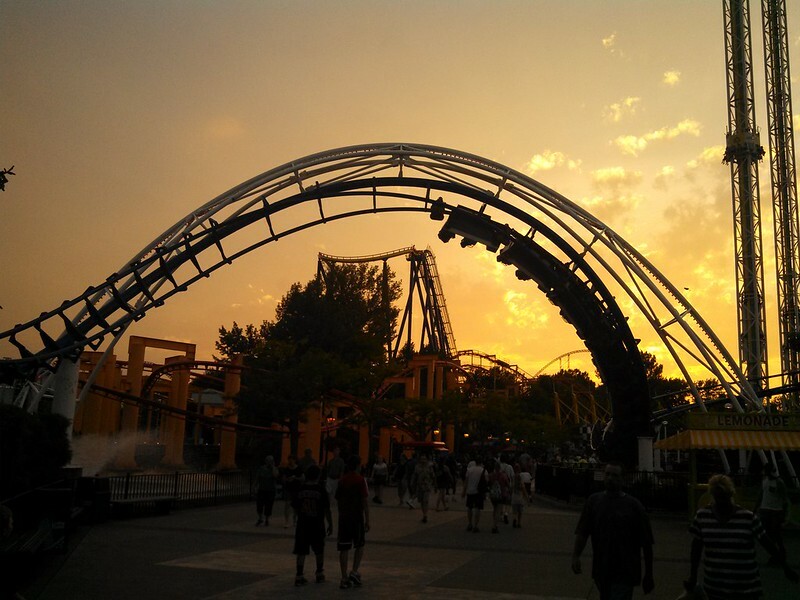 And this turns out to be fun: I ride coasters; I walk around; I make pretentiously-voiced observations in my notebook because, you know, that’s what I do. Midafternoon, when the sun’s high and I’m getting a headache, I just stretch out and take a nap on a bench, listening to the bumper cars and the Wildcat coaster, and am surprisingly refreshed afterward. So a little later, toward dinnertime, I think, I’m in line for the old wooden Blue Streak (where, just one summer but seemingly a lifetime later, I will spot Trent Reznor and chat for a minute), and there’s a girl behind me in line who’s making eye contact as the queue winds back and forth. Now, mind you: Spending a summer evening with girls you’d meet at an amusment park was one of those unrealized ideal daydreams for me. It never happened, of course, because actually talking to a girl I’d never met just didn’t happen in my world. But now, there’s this brunette and her friend in line, back and forth, back and forth, and there’s a smile now, and then, good God, she just said a quiet, “Hello,” when we passed that last time! Simple manners? Just filling the awkward space? More? I have No. Freaking. Clue. After the ride, I kind of dawdle in the general vicinity and see if they’ll catch up to me or anything, but they don’t. Oh, well. With that boldness which only comes with an absolute certainty that I’ll never see them again, I resolve to speak up if our paths do cross once more. We talked a little bit about summer ending and heading to college in a couple weeks, but mostly we just wandered and rode and enjoyed ourselves. Under the fluorescent lights of an arcade, we wound up playing a few games of skeeball – which I’ve always loved – and I won a cheap stuffed starfish barely bigger than my hand, and of course, it belonged to them. And then, this happened: The skeeball machine I was playing spat out an extra ball. A tenth ball, there in the chute. Now that, I said, is a souvenir. And as they laughed and nodded, I grabbed it and stuck it in my backpack and we speedwalked out onto the midway. They dubbed me the Thieving Poet. We stayed late, and then said goodbye, and that was it. I kept that skeeball for years, and pretty quickly it became a personal symbol of more than just that Cedar Point trip. All through college, in my dorm rooms and apartments, it sat on my desks, a wooden lightning rod for memory and a reminder of that summer between endings and beginnings, of energy and possibility and small, random things that matter. It inspired a short story during one of my creative writing courses – one a particularly feisty professor actually liked – and years later, I wrote it into what is probably my favorite scene in Crossing Decembers. The skeeball is no longer in my possession. Hasn’t been for more than 15 years now, and if you read the book, you can probably figure out where it went. Besides: I’m never really going to lose it.